A half of Pakistan’s population is female. An increasing number of females, especially in urban Pakistan, are working professionally as the second earner, and even sometimes the first, whether it is in the formal or informal sector. Women also are the ones who bear children breastfeed them, and wean them off to solid food. The initial years in particular are the years in which children need constant monitoring and vigilant care. This is where the need for daycare centres comes in. By law, all organisations across the board in Pakistan are supposed to have daycare arrangements to enable working mothers, and even fathers, to join work after maternity and paternity leave, but very few abide by the laws. Farhat Parveen, Executive Director at National Organisation for Working Communities (NOWCommunities), explains how the provision for a nursery or daycare for children in law has been there since long in the Factories Act 1934 (now the Act of 2018). This provision should be there for children as young as infants to the age of six years. “While things are getting better and some public educational institutes like Karachi University and some private organisations like Aga Khan University (AKU), PILER, HANDS, and many corporate organisations have some facilities in this regard, it is not enough,” says Parveen. In less affluent areas, working mothers are not less in number, whether they go out to work as salesperson or domestic house help. In the absence of any proper daycare centres, women in these localities leave their children with relatives or neighbours who can keep an eye on the children till they come back from work, and pay them agreed upon sums as remuneration. Others bring back teenage siblings or cousins from villages for a few months, giving them food, lodging and some pocket money to see over their children. In Amin’s opinion, there is a greater need for in-house daycares which Pakistani organisations lack. 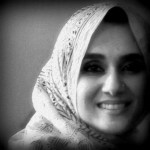 “If they really want women to work, then it is pretty inconvenient for a parent to first drop a child to a school and go to their own workplace, pick the child from school and then drop to daycare and collect again in the evening, especially in a city like Karachi where commute and traffic is a huge factor in planning anything,” she says, speaking for many working parents. Fariduddin Siddique, an engineer by training, established “Bright Minds Learning Hub and Daycare,” along with his wife, some two years ago in the upscale Clifton locality of Karachi. They accept children from ages four months to six years. “Me and my wife were both working parents, and we realised the need for centres that provide quality daycare facilities,” he says. In Siddique’s experience, couples in Pakistan usually have support from their families, but that is not always the case. 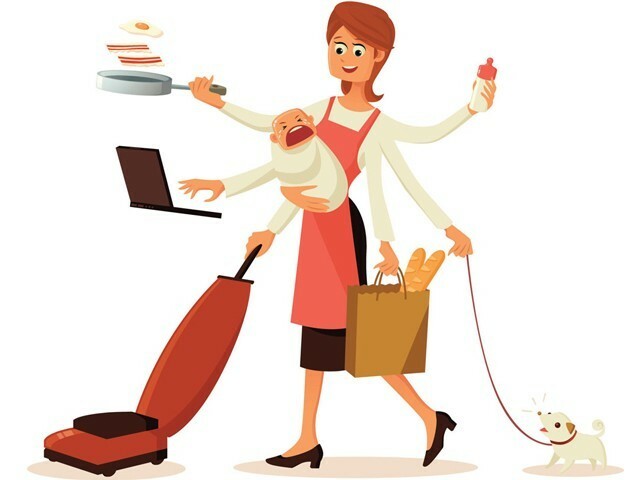 In less affluent areas, working mothers are not less in number, whether they go out to work as salesperson or domestic house help. In the absence of any proper daycare centres, women in these localities leave their children with relatives or neighbours. He adds that for a mother to leave her career for an extended period of time creates a gap in her work trajectory which is not good for her career prospects. “The key priorities at daycare centres for children are giving them a hygienic environment, a healthy routine, extreme care and love, as well as opportunities for learning and development according to the child’s age.”. For Siddiqui and his team, it has been a journey of learning. At this centre, parents have to send food from home. The fee structure is the same for all age groups, and parents have to pay based on whether they leave the child for half a day or full day. For summer camps, upscale daycare centres charge anywhere between Rs12-18000 a month. A well-known daycare centre (name withheld) charges Rs19000 per month, and this includes a lunch meal, while their hourly rates are Rs350 for the first hour and Rs300 for each subsequent hour. For parents working in the corporate or business sector, with both husband and wife working, this might be affordable. But for lower income or lower middle income groups, this might be too steep. Prices get steeper depending on the area where the daycare centre is based. Running since 2007 with three successful branches, Dr Sofia’s Daycare & Learning School charges between rupees eight to ten thousand for a full day and four to six thousand for half day. “Dr Sofia Rahman, the founder, felt an urgent need of a daycare when she herself faced difficulty in raising her kids while doing a job. Her main idea was to help working women so that they could pursue their dreams,” says Hina Fahd from the daycare management. They accept children from age brackets three months to ten years. “The older children usually come to us after having attended school in the morning,” she says, adding that daycares are a better option than leaving children with grandparents as with grandparents children may not be as disciplined in terms of routine and learning reinforcement. Posted in Culture and Society and tagged daycare centres, Maternity Leave Pakistan, Pakistan, Paternity leave, urbanization, Women. Bookmark the permalink. Every family had a few such widows — some young and others older. Their presence was not considered auspicious, and they were supposed to lead listless sedentary lives devoid of any hope for a better future, waiting for stipends and hand-me-downs, with a looming sense of guilt as if that woman was somehow responsible for the death of her husband. More than a decade and a half since we entered the third millennium, the widowed women of Pakistan find themselves a little ahead of where they once stood on the social ladder yet are still entangled in some deep-rooted traditions, stigmas and restrictions. It is not just the woman who has lost her husband that suffers the impact of social stigma that surrounds a widow. It is also her children. While Ahmer Ali was an adult when he lost his father five years ago, his experience and observing as a son what his mother has gone through has taught him a lot about the plight of a widow. “For my mother and my siblings, both finances as well as the emotional trauma were huge challenges, as were the social taboos. Take a small example that in our society a widow is supposed to dress as soberly as she can. My mother loves to wear bright colors but after my father passed away I observed she begun to avoid clothes of colour. However, I ensured that she wore what she liked,” he says. For Nazia* (name changed on request), the experience was not entirely negative when it came to how people acted towards her after she lost her husband. “My friends and family were quite empathetic and helpful when it happened,” she says, but adds that the experience has been mixed, “Because on my husband’s first death anniversary, my relatives, and that too close ones, called and expected me to be crying and be really sad. Incidentally, my daughter got engaged two years later on the same date that my husband had died, and even my closest of kin said, ‘why did you do it on the same date?’ I got tired explaining that the boy’s sister was leaving the next day so I did not have an option,” she says. “To date, I feel people observe me intently, and expect me to be sad and depressed,” she adds. Yet, life has not allowed her that liberty. Gaping challenges faced this mother of two when her husband passed away, leaving them in the midst of financial challenges. “I didn’t really get any time to mourn. I was out of the house on the fourth day for the death certificate. Who else was there to support me and my girls?” As her family did not own a house, Nazia had to arrange a place to live soon after becoming a widow, and started working full-time to support herself and her daughters. “I heard comments like ‘haan haan tum to buhut independent ho, tumhain kisi ki zaroorat nahin (You are a very independent woman, seems you need no one)’.” But she did what she had to in order to survive. “In so many ways, I have become a stronger woman since I lost my husband,” she says. Another social attitude is the assumption that widowed women are on the lookout for a man to remarry. “My male colleagues stopped visiting me [even for work] because their wives did not want their husbands to interact with me,” says Farah. She poignantly describes the experience of being widowed: “It was like being off-loaded on a dark highway in the middle of a journey.” Her being a financially empowered single woman has proven to be another challenge, as men see such a woman as a lucrative prospect. Advising young girls, Farah says girls need to be independent and educated to be able to support themselves if such a situation in life arises. She is also of the opinion that girls should weigh carefully factors like health and lifestyle of a man before marrying, because unhealthy lifestyles or diseases of a man may result in his prematurely leaving this world, and the widow being left to suffer. Posted in Women and tagged Culture, Farah S Kamal, International Widows Day, Pakistan, pakistani widows, widows, Women. Bookmark the permalink.